It works by breaking down the defences bacteria use against antibiotics, making it useful in treating superbug infections such as MRSA. The results were presented at a Society for General Microbiology meeting. Professor Rose Cooper from the University of Wales Institute Cardiff found a variety of honey from bees foraging on manuka trees in New Zealand proved effective. A specially filtered version of this honey, with impurities removed, is already used in modern licensed wound-care products around the world. Indeed, people have known for centuries about honey's antiseptic powers. The researchers wanted to gain a better understanding of this honey's bacteria-fighting properties and to see if it might help tackle some of the most stubborn infections encountered in our hospitals. Professor Cooper's work with two common types of bacteria - streptococci and pseudomonads - revealed that manuka honey can deter the attachment of bacteria to tissue, which is an essential step in the initiation of acute infections. Stopping attachment also blocks the formation of biofilms, which can protect bacteria from antibiotics and allow them to cause persistent infections. The latest lab work showed that the honey can make MRSA more sensitive to antibiotics such as oxacillin - effectively reversing antibiotic resistance. Professor Cooper said: "This indicates that existing antibiotics may be more effective against drug-resistant infections if used in combination with manuka honey. "What we need to do now is look at more combinations with antibiotics and do some clinical work in patients. "It could be applied topically to wounds and used in combination with antibiotics to treat resistant infections." 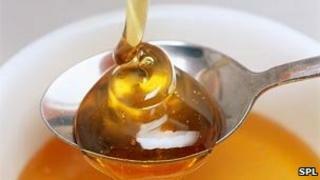 But she warned people not to try the same at home with honey bought from the supermarket. "Not only is it messy, it wouldn't be advisable. We have been using medical grade honey, not the stuff you buy in shops."